Greeting card reproduced from a collage by Mark Hearld. 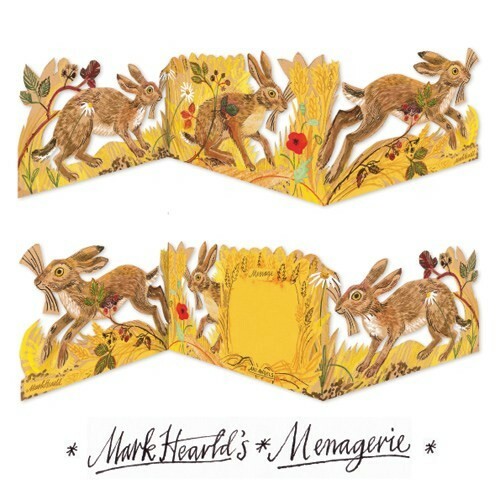 3 fold die-cut 'menagerie' card. Recycled and/or FSC approved materials. Biodegradeable packaging. Published by Art Angels.